The monologue form is a theatrical and cinematic device. The actor finds himself talking aloud, not to himself but to someone else. Who? Why? When? Simon will help a group of students unlock the answers to these and many other performance questions related to this ancient and traditional form of communication. Please bring your favourite audition monologue, or one you’ve written, or had written for you. Or any piece of text which features someone talking aloud alone. They should preferably be in English or if in Polish then a translation must be supplied in advance. Poems are also acceptable. In addition: please come pen, paper, and some domestic activity which you can perform alone on the stage. SIMON FURNESS is one of the most sought Meisner Technique teachers in the UK. 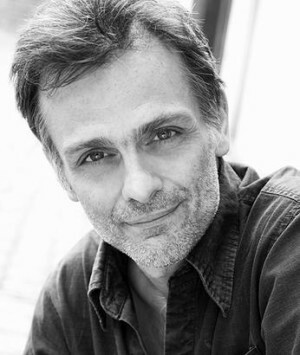 He has been working as an actor for 20 years, and has taught and coached actors for 18 years in London, Milan and Warsaw. He studied under Tom Radcliffe (UK) and Martin Barter (US), two former direct students of master actor and teacher, Sanford Meisner. This 4 DAY MONOLOGUE WORKSHOP will be most likely very different to what you are used to. As Simon says working on the monologue is talking to someone in order to get something and it should be empowered by uncompromising, emotionally engaged and fearless acting. This work is supported by deep understanding of the text including what’s happening in the monologue, what your character needs from the other character and any relevant circumstances. You will be introduced to a simple and effective way of breaking down your monologue, so that it is playable and open to direction. The ability to IMPROVISE with your text is a highly prized skill and an essential component in the repertoire of the modern actor, especially when so many plays and films are cast on the basis of this skill. Applications may be sent to labmeisnera@gmail.com (please include a few words about your acting experience and state if you have any previous Meisner training). To secure a place at the course you will be expected to pay the first instalment £ 100. The outstanding amount shall be paid a week prior to the course. This course is designed for actors/actors students. Preparation: ALL students without exception are asked to arrive on the first day of the course with the lines of their role in the monologue already memorised. There are no exceptions to this requirement. You may work in Polish or English but if working in Polish, please supply a full translation of your scene in English.